Come to Michouat and discover Gascony and the Pyrenees! The small village of Vidou is situated just 3.5 kilometres from the 13th century bastide market town of Trie sur Baïse, which offers all day to day requirements, with banks, bakers, supermarkets, butcheries, a pharmacy (chemist), doctors, dentists and tourist information bureau. A bustling market takes place every Tuesday morning. Trie has a varied programme of events including classical music concerts in the 13th century monastery, antique and night markets and a 4-day long fête in August, with a wide range of entertainment. The surrounding countryside offers spectacular scenery, walking, cycling, horse riding. There are many attractions in Midi-Pyrénées which can be visited within approximately one hour’s drive, ranging from outdoor sporting pursuits, the Parc National des Pyrénées, caves, castles, fortified churches and bastide towns to name a few. Places to visit for a day trip include Lourdes, Toulouse, Pau, the medieval town of Carcassonne, Biarritz, the Cirque de Gavarnie and the Pic du Midi to name just a few. An hour’s drive will take you and your party across the border and into Spain. it's never crowded, never busy, never boring! 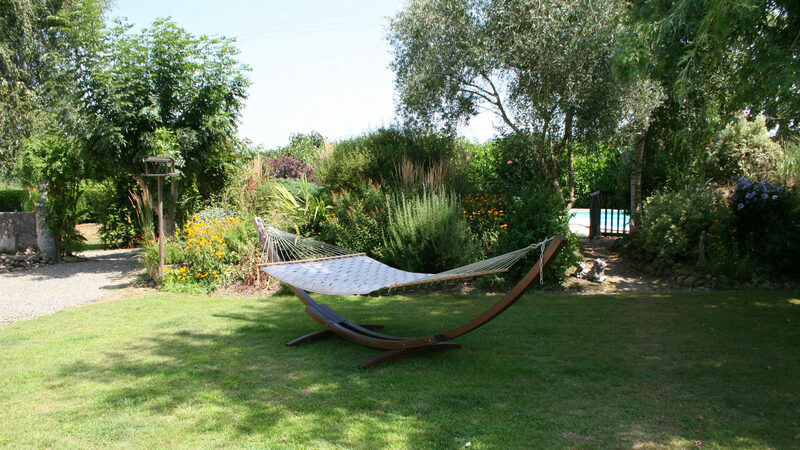 "Michouat" is the name of our property here just outside the village of Vidou, about 2km from the little Gascony Bastide town of Trie-sur-Baïse. Built in the 1880s, Michouat is a traditional L-shaped Gascony farmhouse, with the family living in one side and the livestock and winter stores in the other. 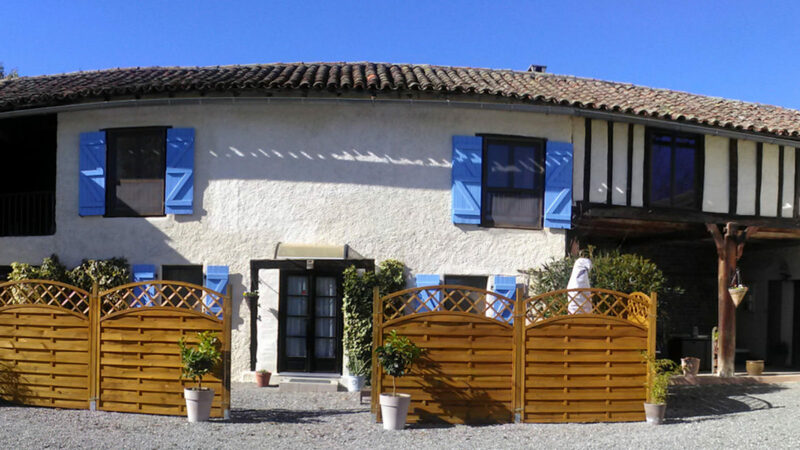 It remained a working farm until the end of the 1990's when the land was sold off and the barn side of the property was tastefully converted into a Pyrenees holiday gîte. With its solid oak beams, Michouat's Living Room is warm and cosy. 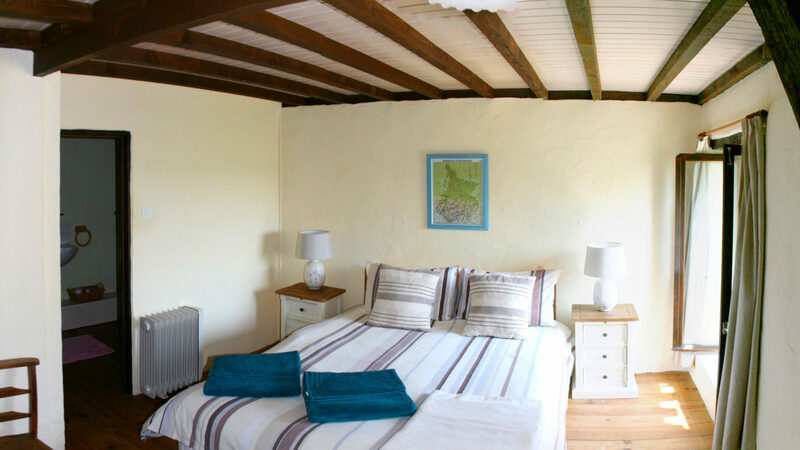 There are comfy armchairs and a sofa for you and your company to relax in, read a book, watch DVDs (provided) or catch up on your favourite (UK/French) TV programmes and, of course, there's free WiFi throughout the property. There's a period wood-burning stove to take the edge off any out-of-season evening or early morning chill. The Kitchen / Diner includes seating and all modern conveniences to keep a family of four fed and watered during your stay: gas cooker/oven, microwave, coffee machine, kettle, fridge/freezer etc. In addition there's an iron, ironing board, and the washing line's just outside (but there's also a drying rack in the bathroom)! Had a fantastic time here with my family this summer, plenty of room for a family of four and all the facilities you could need. Really peaceful area which allows you to fully recharge your batteries, but not to sleepy as there are plenty of restaurants and shops in a quick drive. Andy and Julia were fantastic hosts and were available if required, but gave us plenty of privacy and it almost felt like our own home. Great base if you like cycling as the Pyrenees are within touching distance and you can climb some of the most iconic Cols in Tour de France history. Will definitely be booking again as the whole family can’t stop talking about it. We stayed at Le Michouat for 12 nights in August 2018. Situated about an 50 mins from the mountains it offers a good blend of peaceful living with easy access to the towns and villages of the mountains. This provides lots of opportunities to explore great views, restaurants and do plenty of activities, such as rafting and kayaking. There are also some great caves in which you can do organised tours. We visited the Grottes de Bétharram caves which were fascinating and great fun. The Balnea Spa is fabulous to relax in with hot water (ranging from 33 - 40 degrees) areas outside in the mountains which is really beautiful. 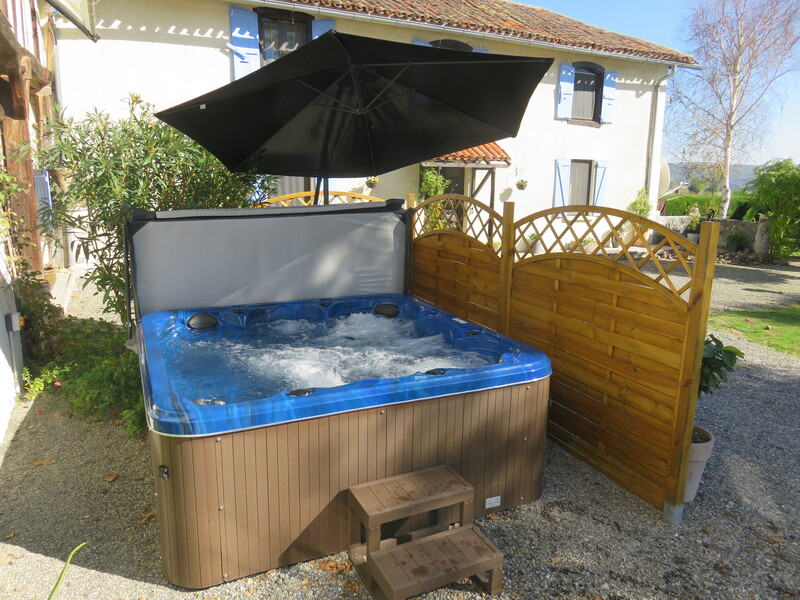 The gite was very clean and well presented. It is equipped with everything you need for a comfortable stay. The pool was also extremely clean and was attended to early in the mornings by Andy. There are good views from the pool of the mountains and plenty of comfortable pool side seating. There is English Freesat TV available in the gite for those that want it and Internet access is available. A new hot tub will be installed very soon although it was not set up during our stay. There is a table tennis table and Jules & Andy have provided plenty of games to keep kids busy in the evenings should you need it. For relaxing there is a huge hammock although we didn’t really use it. We did use the supplied barbecue though which was a good size & quality to supply guests. 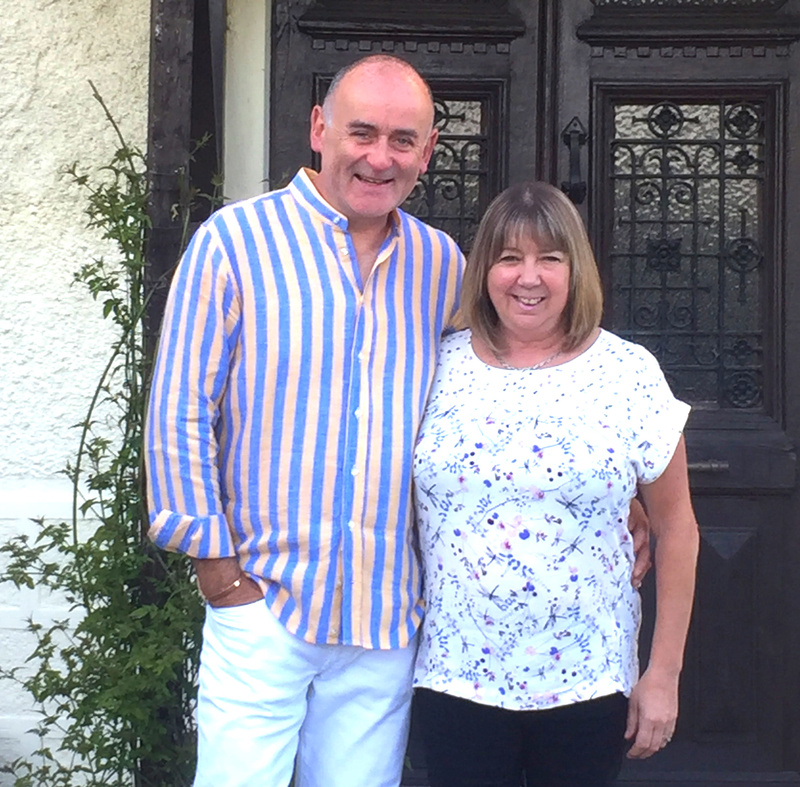 Jules and Andy are great hosts providing just the right blend of being there if you need them and leaving you to enjoy the pool and relaxing surroundings in peace. As we were flying in late on a Sunday night Jules called us a few days before and asked us if we wanted her to get some shopping in for when we arrived as many shops in France close Sunday & Monday. I was very grateful for this and sent her a list all of which was duly located in the fridge along with some welcome wine! How nice was that??!! They have clearly made every effort to ensure your stay is enjoyable and little touches such as supplying good quality plastic “glasses” for you to use by the pool were greatly appreciated. Julie’s cakes were also greatly appreciated!! During our stay there was a Man Utd game on and as soon as Andy found out that both my young boys support them, we were invited in to watch the match and have some drinks, which ended up being a really fun evening. Again they showed their hosting skills supplying said food and drinks, even though we took our own! We cannot thank Jules and Andy enough for making us feel welcome and helping to ensure we had a great time. We would wholeheartedly recommend a stay here. You won’t regret it!!! 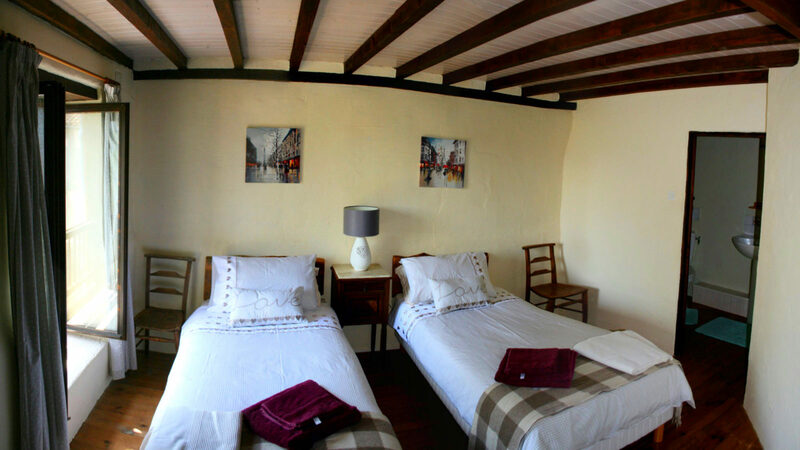 The accommodation was beautiful throughout and well equipped. Andy and Julie were great hosts and the location ideal. Sue and Mick Barry, Warwickshire. We stayed with Andy and Julie in May. They were perfect hosts in every way. The pool was cleaned daily. We had beautiful views of the Pyrenees. Everywhere was within easy reach, all less than an hour away. We will definitely come back !!! We had a lovely break chez Jules & Andy. My husband and I stopped here en route to Italy. 5* star hosts all round nothing is too much trouble. The surroundings are heavenly. A must visit. Ready for a holiday you won't forget?